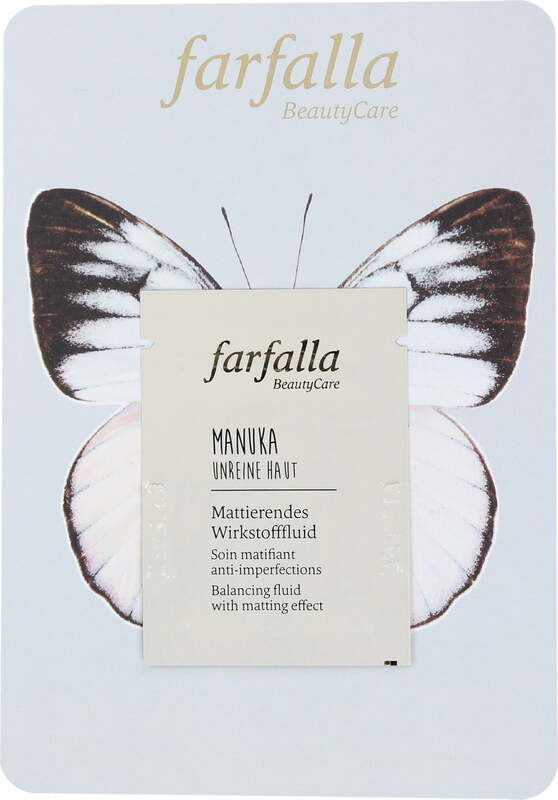 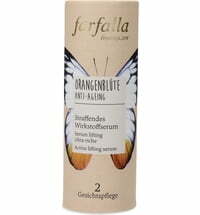 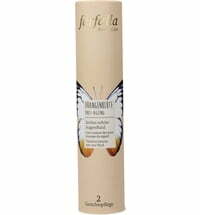 Farfalla has created a fluid that mattifies and balances blemished skin for a refined and more supple appearance. 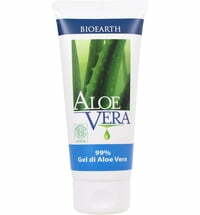 Linseed extract regulates sebum production while aloe vera promotes cell regeneration. 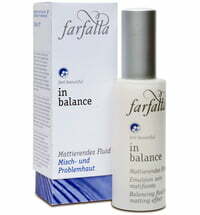 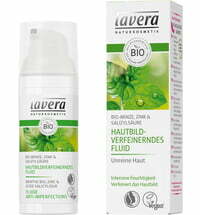 Sage oil in combination with witch hazel hydrosol is responsible for the fluid's balancing and astringent properties. 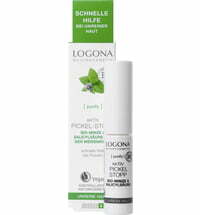 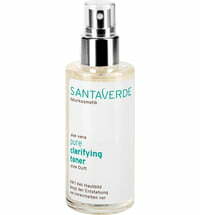 Apply to the skin after cleansing and toning in the morning and evening. 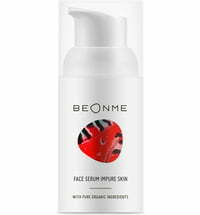 Use the Anti-Blemish SOS Skin Clearing Gel beforehand if necessary. 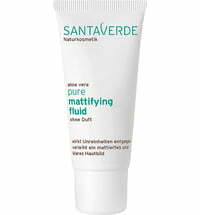 Anti-aging effect: Add a small amount of Aloe Vera Firming Deluxe Face Gel to the fluid and apply to the skin. 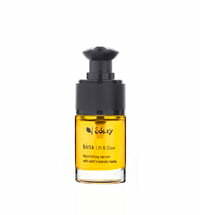 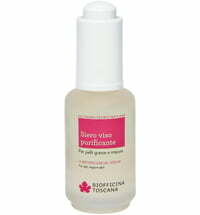 Irritated skin: Add 1 drop of Ravintsara Balancing Facial Oil to the fluid, mix and apply to the skin.